1087a, CENTER CAP USED, 77-80, LINCOLN, VERSAILLES, CHROME METAL WITH BLACK CENTER IN HEX NUT & CHROME LOGO, 28 FIN TYPE, 3 BOLT ON HOLES. 1087a, CENTER CAP USED, 77-80, LINCOLN, VERSAILLES, CHROME METAL WITH BLACK CENTER IN HEX NUT & CHROME LOGO, 28 FIN TYPE, 3 BOLT ON HOLES. FOR A 14", RIM. 1087b, CENTER CAP USED, 77-80, LINCOLN, VERSAILLES, CHROME PLASTIC WITH BLACK CENTER IN HEX NUT & CHROME LOGO, 28 FIN TYPE, 3 BOLT ON HOLES. 1403c/1404, CENTER CAP USED, 84-02 JEEP CHEROKEE, COMANCHE, WRANGLER, WAGONEER, CHROME PLASTIC BOLT ON FROM BACK WITH SCREWS, 5 LUG HOLES. Price: ORDER UNDER 1404 CENTER CAP. 1403c/1404, CENTER CAP USED, 84-02 JEEP CHEROKEE, COMANCHE, WRANGLER, WAGONEER, CHROME PLASTIC BOLT ON FROM BACK WITH SCREWS, 5 LUG HOLES. CHROME JEEP LETTER IN CENTER. 7-1/2" DIA. FOR A 15", RIM, ALSO FITS 9051 RIM. ORDER UNDER 1404 CENTER CAP. 1622e, CENTER CAP USED, 88-00, CHEVY, GMC, CHROME PLASTIC CAP, 6 LUG NUT HOLES, BLACK BACKGROUND, GOLD, 7-1/4" DIA. 1622m, CENTER CAP USED, 88-00,CHEVY, GMC, 1500, 2500, SUBURBAN, BLAZER, TAHOE, YUKON, BLACK PLASTIC CAP, 6 LUG NUT HOLES, BOLT ON, 7-1/4" DIA. 2092, Used Rims, 16X7, 5 LUG, 4-1/2", 98-04, DODGE, INTREPID, CONCORDE, 18 HOLE BLACK STEEL, TAKES A BOLT ON COVER. 2092, Used Rims, 16X7, 5 LUG, 4-1/2", 98-04, DODGE, INTREPID, CONCORDE, 18 HOLE BLACK STEEL, TAKE BOLT ON COVER. 2104, CENTER CAP USED, 98-99, DODGE, 1500, 5 CUTOUTS FOR LUG NUTS, RAISED HEX NUT CENTER, ETCHED RAMS HEAD LOGO, BOLT ON, 8" DIA, FOR A 16" ALUM 3 SPOKE 5 LUG RIM. 2141, CENTER CAP, USED, 98-03, DODGE, VAN, BLACK PLASTIC WITH RAISED RAMS HEAD, 5 HOLE BOLT ON CAP. 7-1/4" DIA. 3276s, Hubcap COPY, 17", 08-10, CHEVY, MALIBU, LS, SILVER, 5 SPOKE, BLACK PLASTIC LUG NUT CAPS, BOLT ON. HELD ON BY LUG NUT CAPS, SET $89.00. 3276s, Hubcap COPY, 17", 08-10, CHEVY, MALIBU, LS, SILVER, 5 SPOKE, BLACK PLASTIC LUG NUT CAPS, BOLT ON. HELD ON BY LUG NUT CAPS, SET $89.00. FOR CHROME 3277 HUBCAP COPY. 4036, CENTER CAP USED, 02-04, BUICK, PARK AVE, CHROME WITH 5 LUG NUT CAPS AND FULL COLOR LOGO IN CENTER. BOLTS ON WITH LUG NUT CAPS. 8" DIA. 4036, CENTER CAP USED, 02-04, BUICK, PARK AVE, CHROME WITH 5 LUG NUT CAPS AND FULL COLOR LOGO IN CENTER. BOLTS ON WITH LUG NUT CAPS. 8" DIA. FITS 9 SPOKE RIM. WILL FIT 4037 BRUSHED FINISH ON RIM. 53063, Hubcap used, 15", 00-01, NISSAN, ALTIMA, SPARKLE SILVER, 5 SPOKE, WITH RAISED CHROME LOGO, BOLT ON 5 SPOKE. HELD ON WITH GRAY LUG NUT CAPS. 53066, Hubcap used, 16", 02-04, NISSAN, ALTIMA, SPARKLE SILVER, 5 SPOKE, INDENT IN SPOKES, RAISED CHROME LOGO, BOLT-ON DESIGN. 53066, Hubcap used, 16", 02-04, NISSAN, ALTIMA, SPARKLE SILVER, 5 SPOKE WITH INDENT IN EACH SPOKE, RAISED CHROME LOGO IN CENTER, BOLT-ON DESIGN. 53076, Hubcap used,16", 07-08, NISSAN, ALTIMA, SPARKLE SILVER, 5 SPOKE, 5 LUG NUT HOLES, BOLT ON DESIGN, CHROME LOGO IN CENTER. 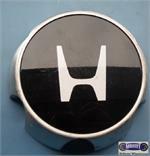 55061, Hubcap used, 15", 95-97, HONDA, ACCORD, 6 CYL, SPARKLE SILVER, 9 SPOKE, ENGRAVED H IN CENTER, 4 LUG NUT HOLES, BOLT ON TYPE. 55067, HUBCAP USED, 15", 06-09, HONDA, ELEMENT, CPE, SDN, SPARKLE SILVER, 9 SPOKES, V SHAPED INDENT IN CENTER OF SPOKE, ETCHED LOGO, BOLT ON TYPE. HELD ON BY LUG NUTS. 63759f, FRONT CENTER CAP USED, 96-97, HONDA, PASSPORT, CHROME FINISH, OPEN CENTER, 6 CUT OUT FOR SPOKES, BOLT ON WITH 3 SCREW, 11/2"X 5", SCREW NOT INCLUDED, FOR A 16", POLISHED 6 SPOKE ALLOY RIM. 7044, Hubcap used, 15", 06-11, FORD FOCUS, SPARKLE SILVER, 6 SPOKE, 4 FAKE LUG CAPS, LUG NUTS ARE REMOVABLE. 7044, Hubcap used, 15", 06-11, Ford, Focus, SPARKLE SILVER, 6 SPOKE, 4 FAKE LUG CAPS, LUG NUTS ARE REMOVABLE. 7052a, Hubcap used, 17", 10, FORD, FUSION, LIGHT SPARKLE SILVER PAINTED, 5 SPOKE, BLUE FORD LOGO IN CENTER, BOLTED ON WITH LUG NUTS.